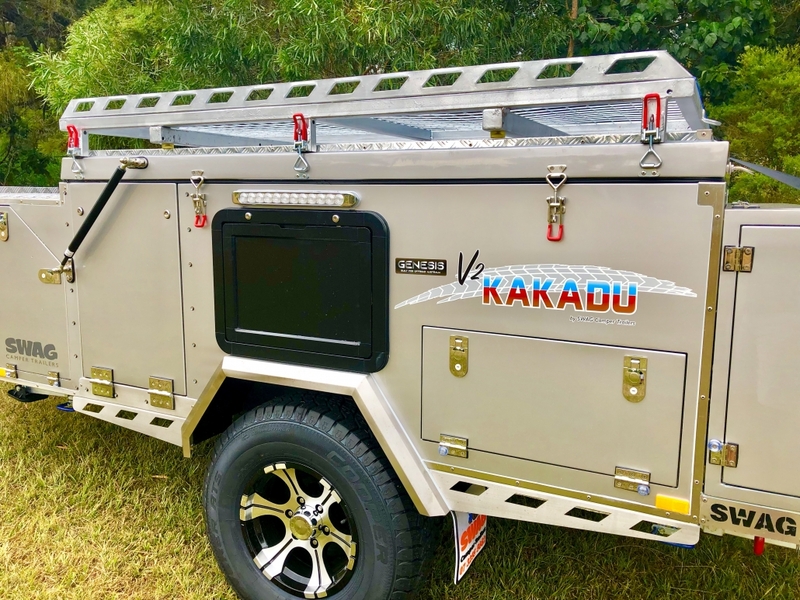 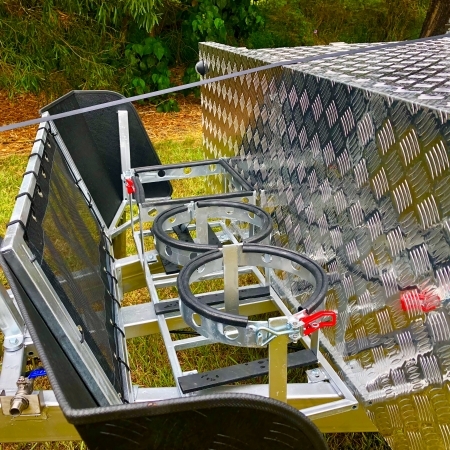 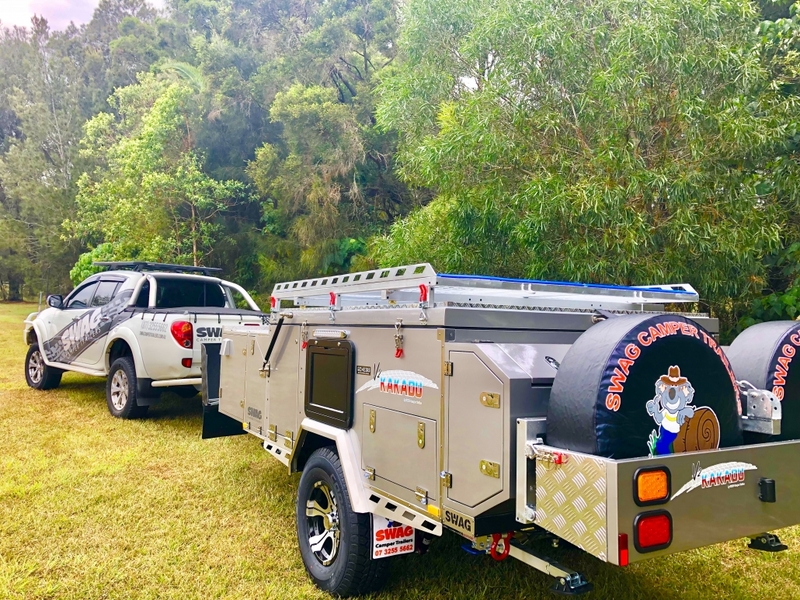 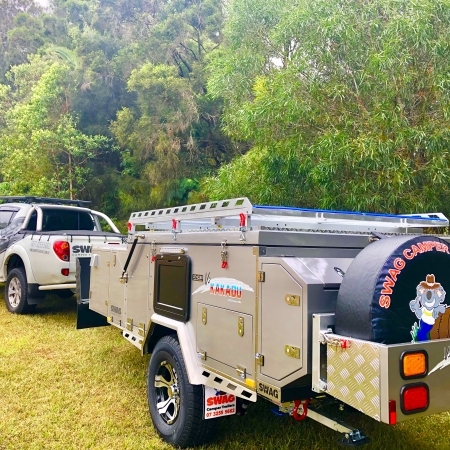 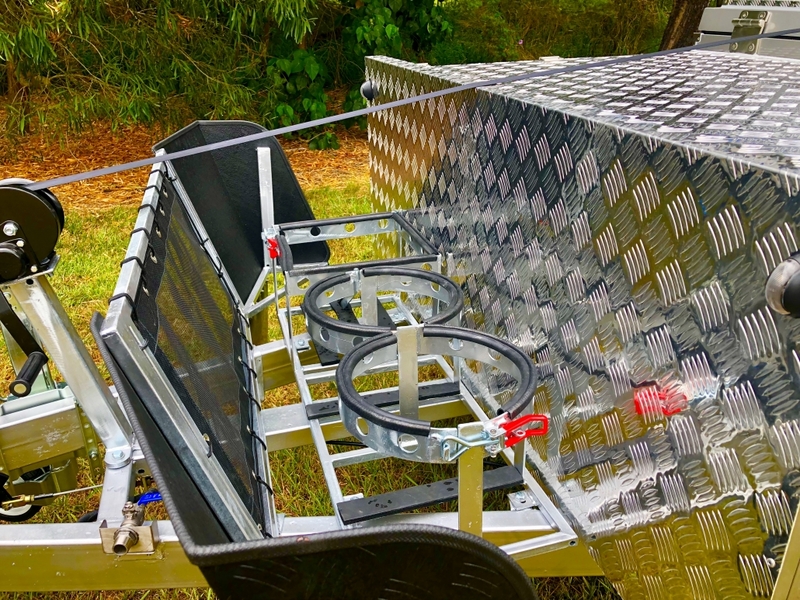 The V.2 Kakadu Forward Fold Camper Trailer is one of the most versatile & functional camper trailers on the market. 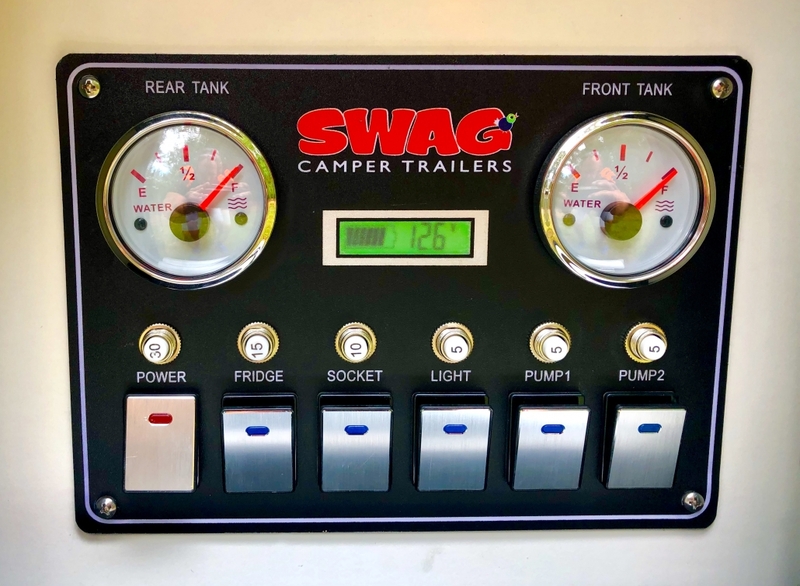 SWAG have really put a lot of focus on functionality. 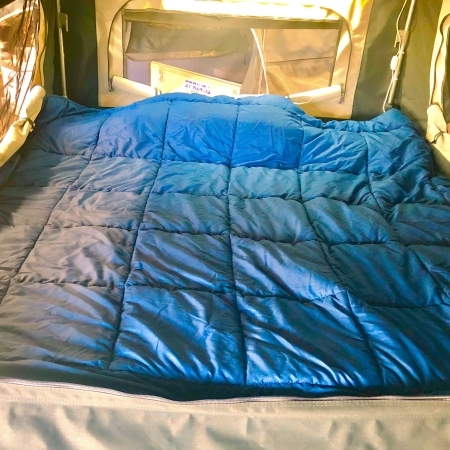 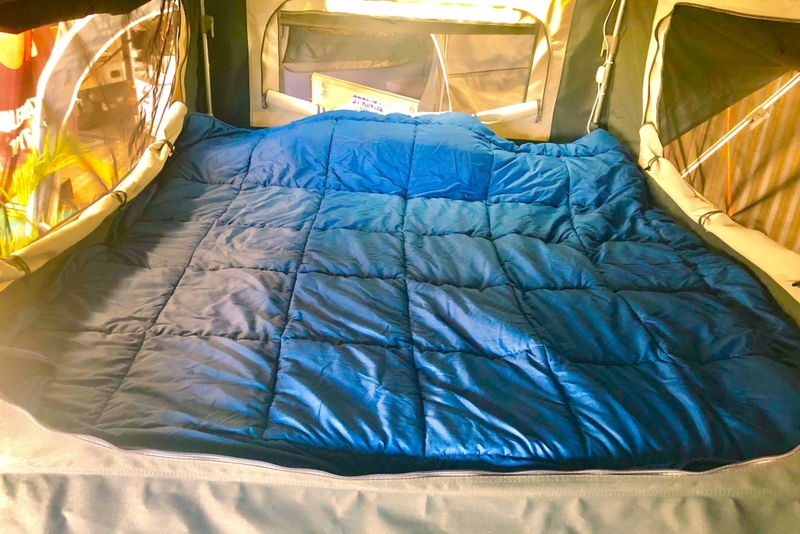 The new QUIK-LIFT tent configuration means the main tent can be set up in just moments without having to go inside and crawl around on the bed to set up the tent. 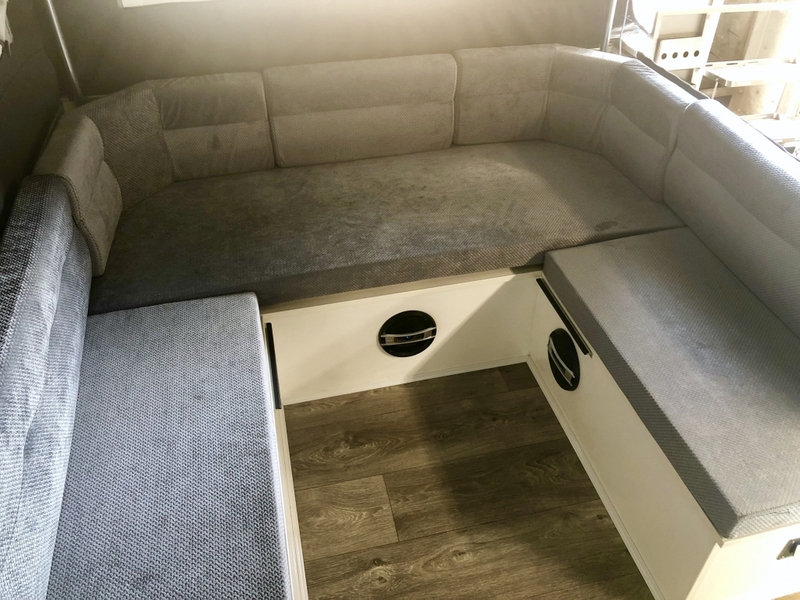 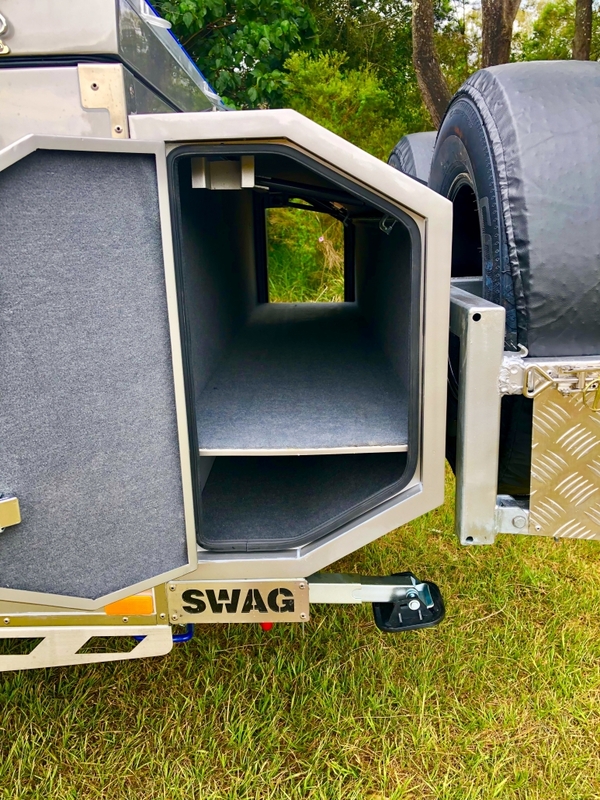 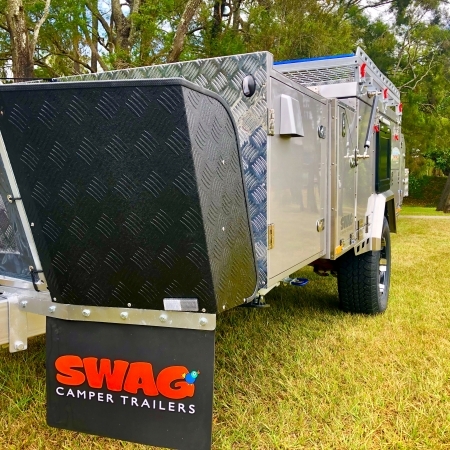 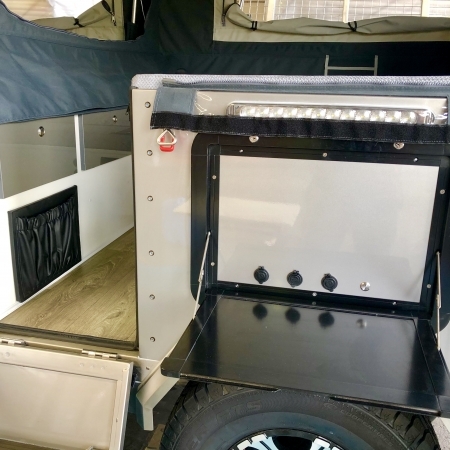 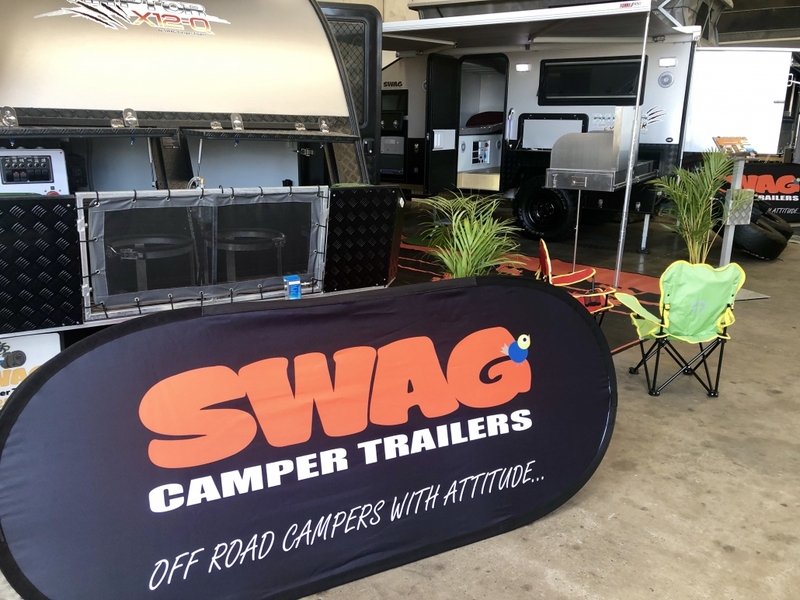 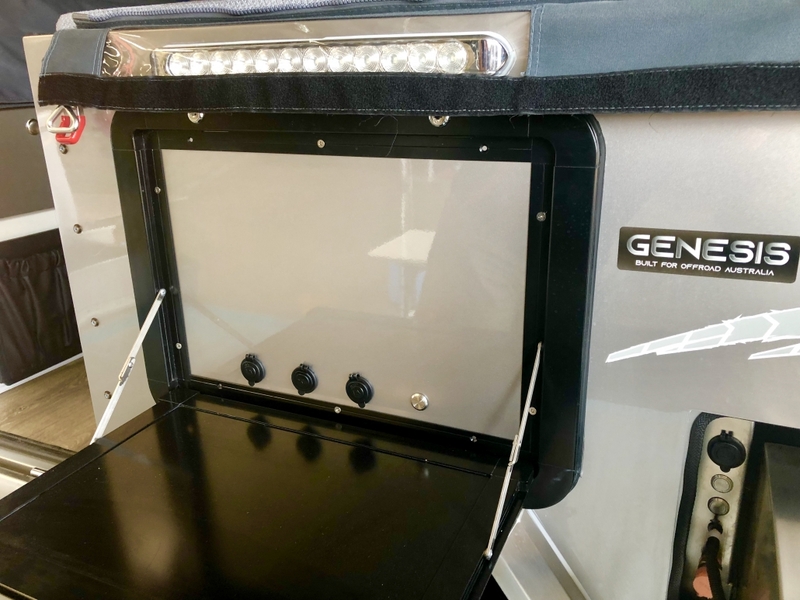 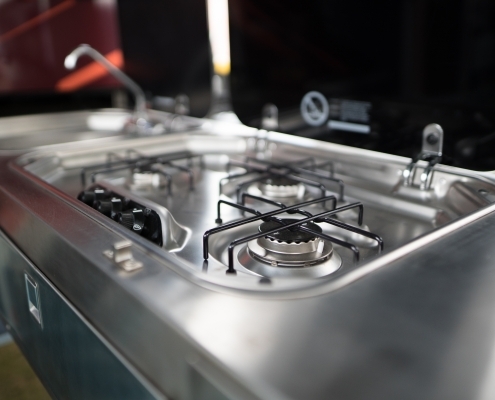 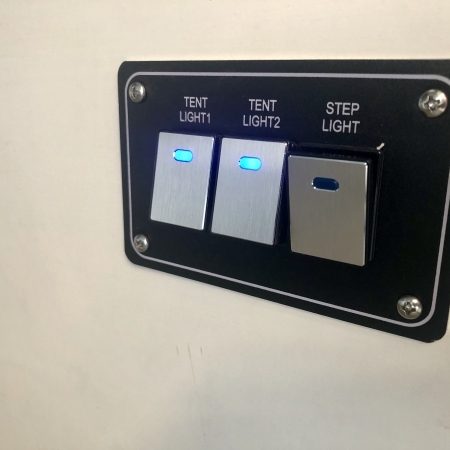 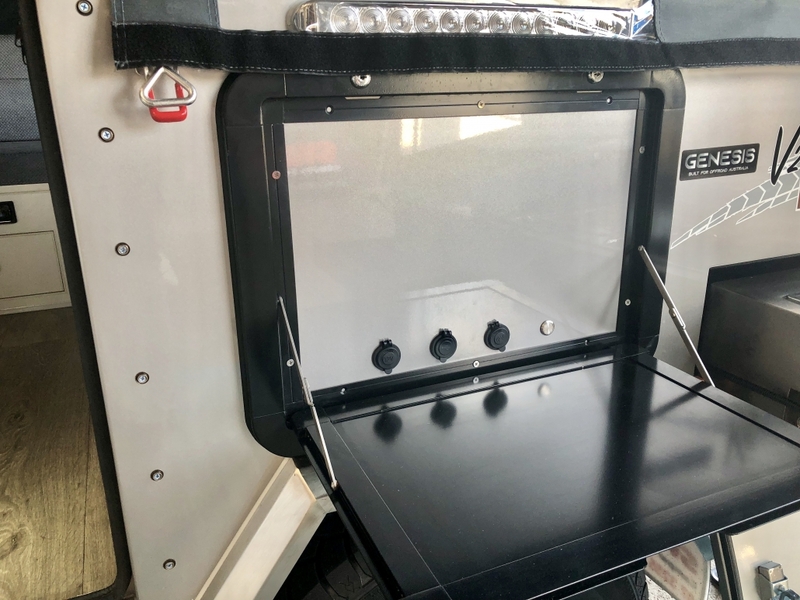 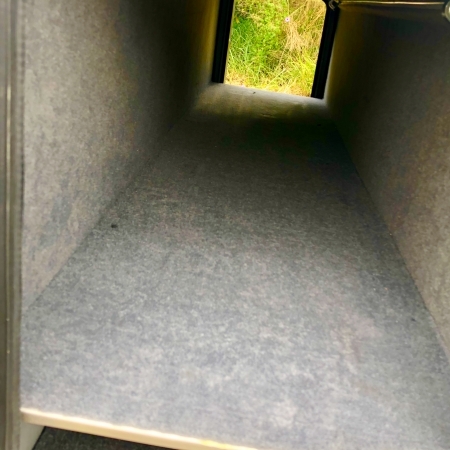 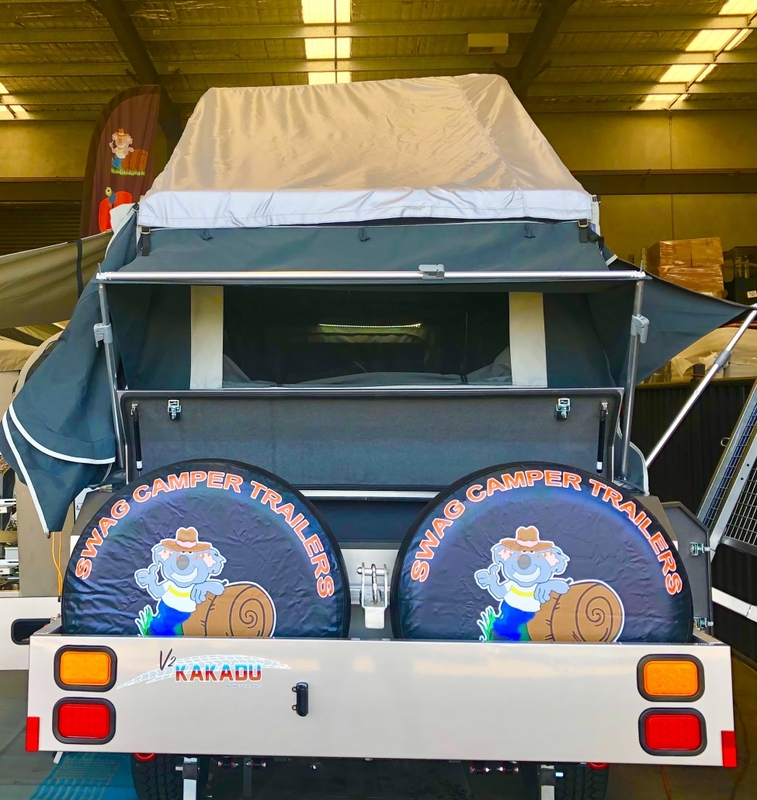 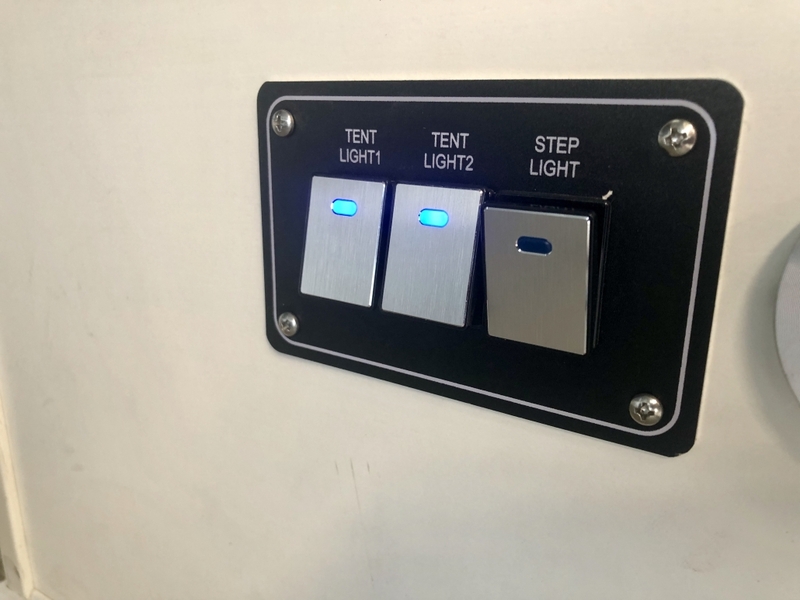 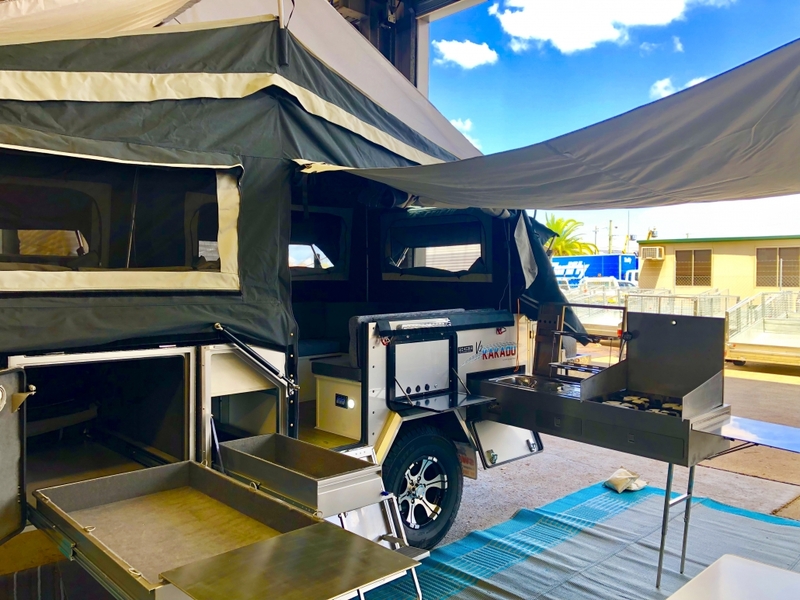 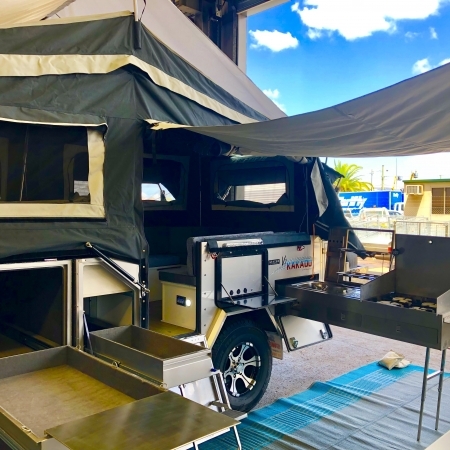 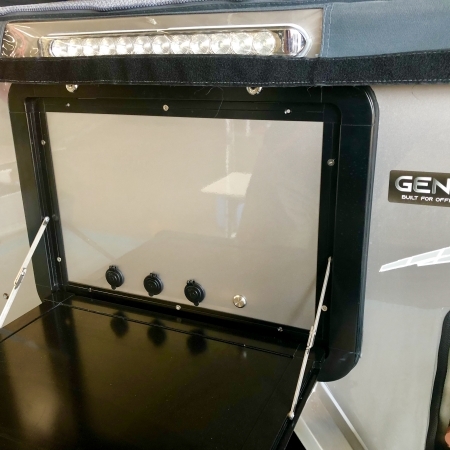 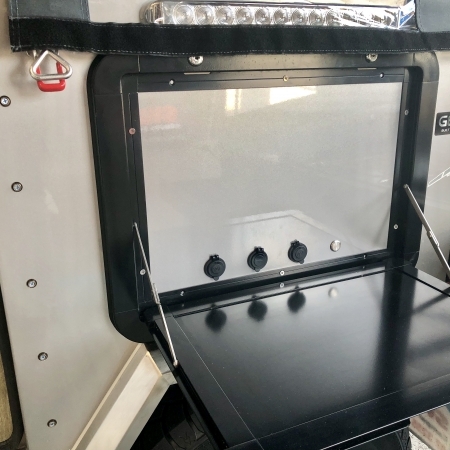 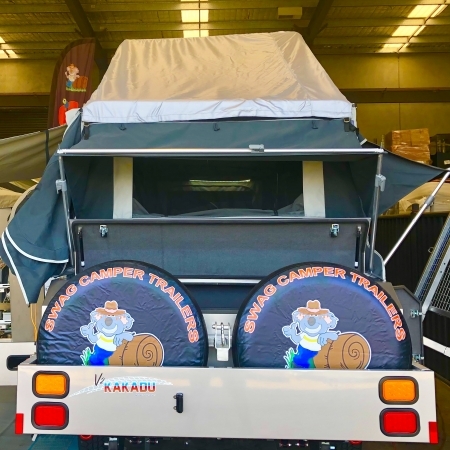 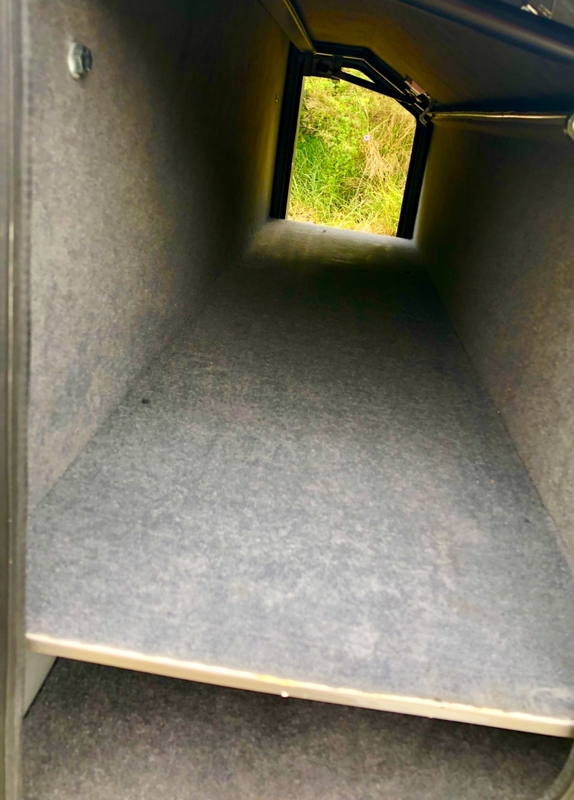 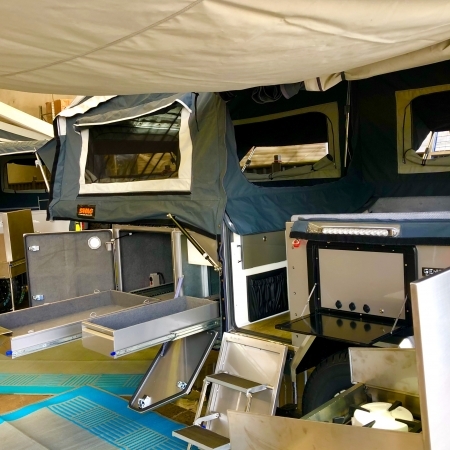 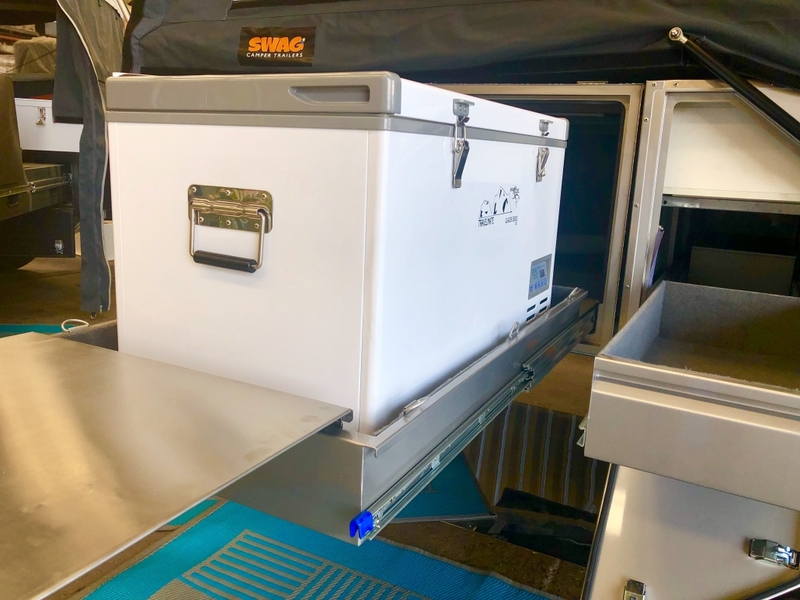 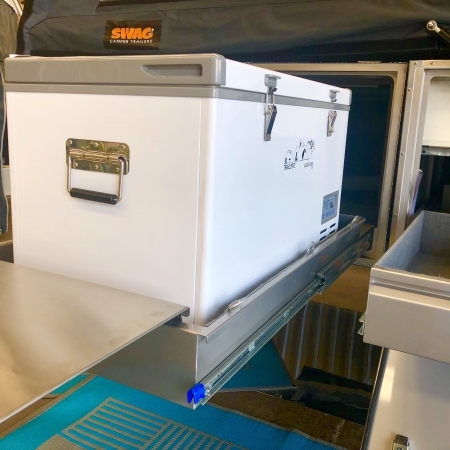 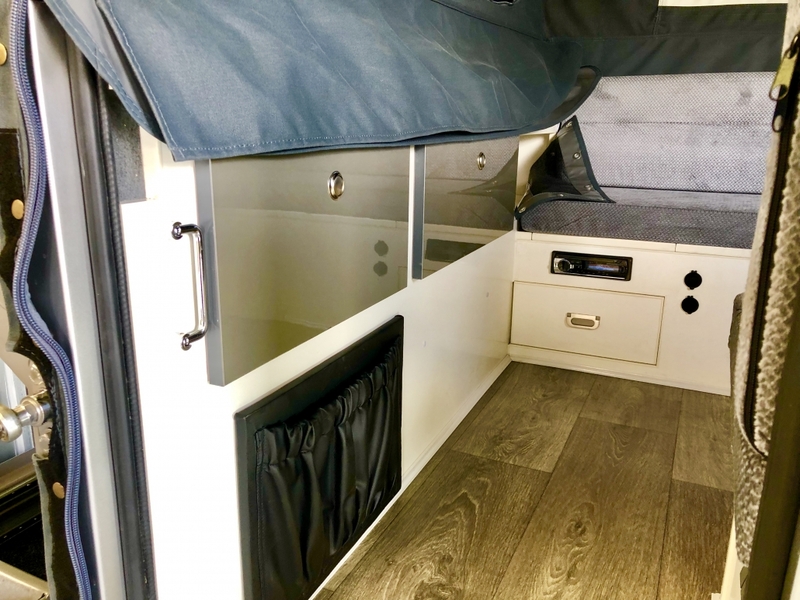 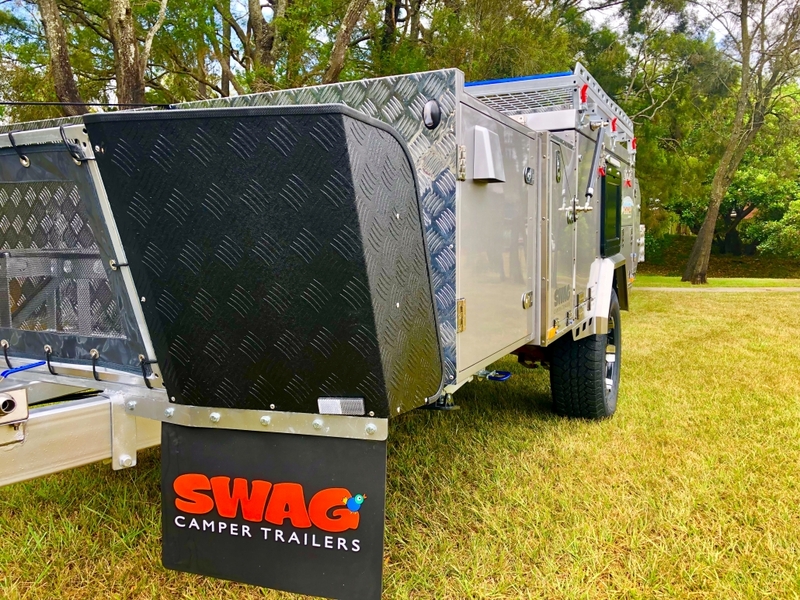 Another big factor in camper trailers is the kitchen – again the crew at SWAG have gone to great lengths to create a kitchen that will satisfy even the most avid of camp chefs. 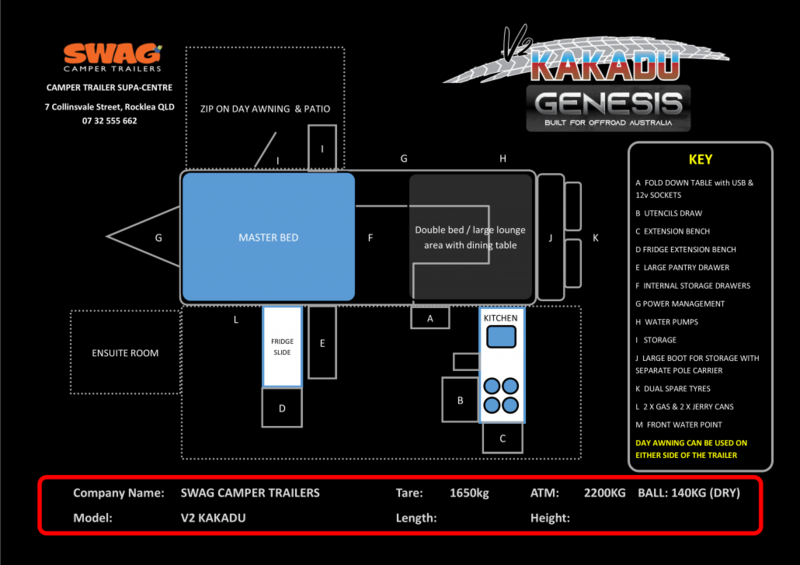 The layout is perfect and very versatile. 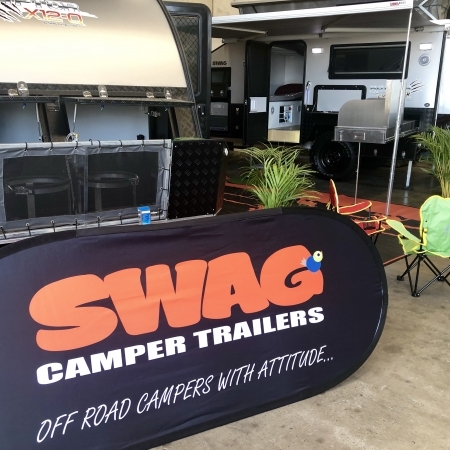 For weekend escapes they have designed a neat Day Awning that zips on either side of the camper in just seconds. 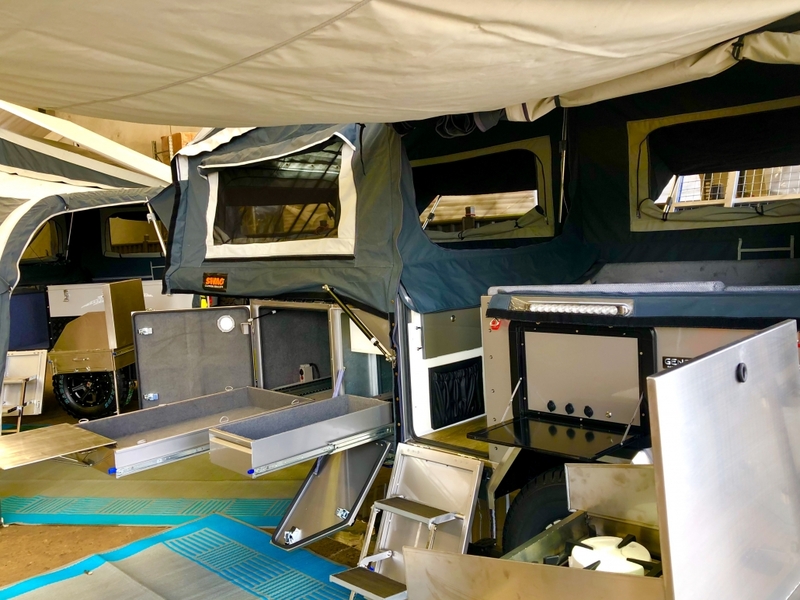 Next we move into Storage and believe me – the V.2 KAKADU has heaps. 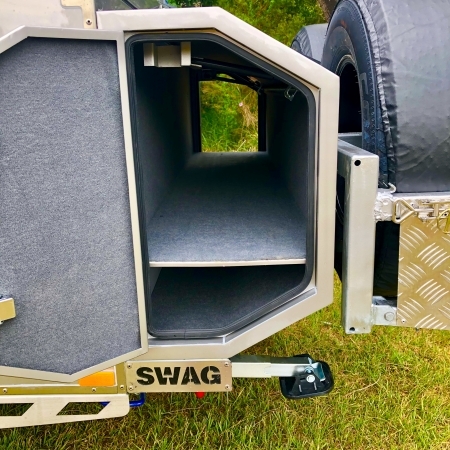 The rear boot with side & front access is a god send as it stores all the poles and extra canvas nicely. 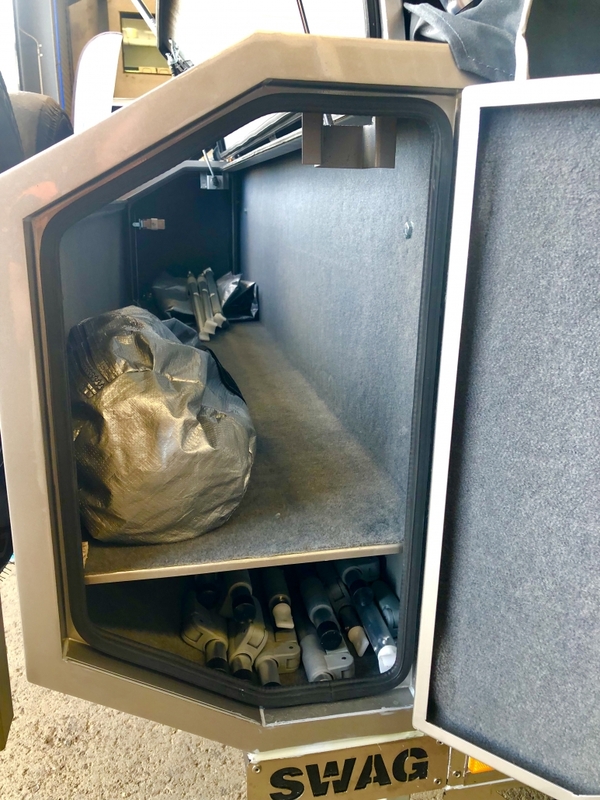 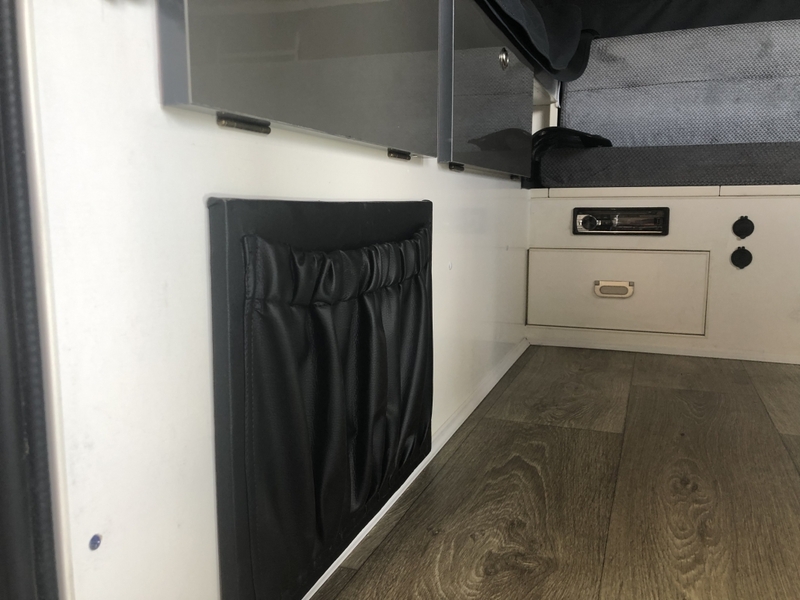 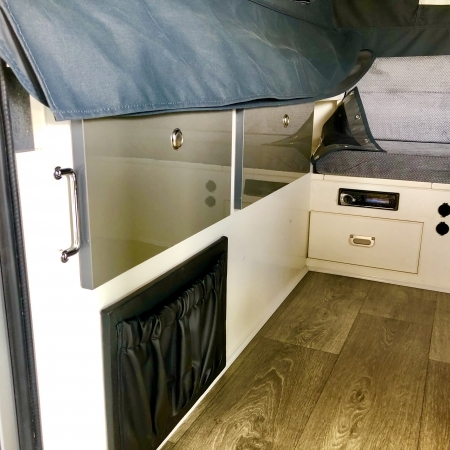 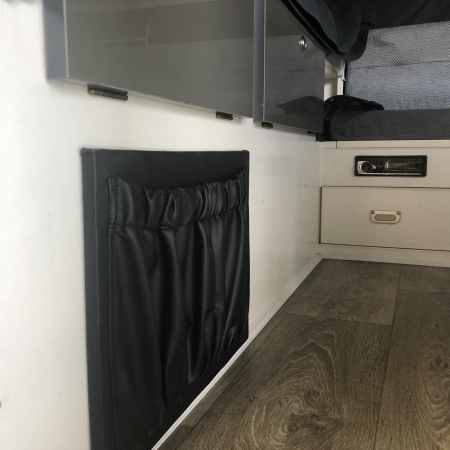 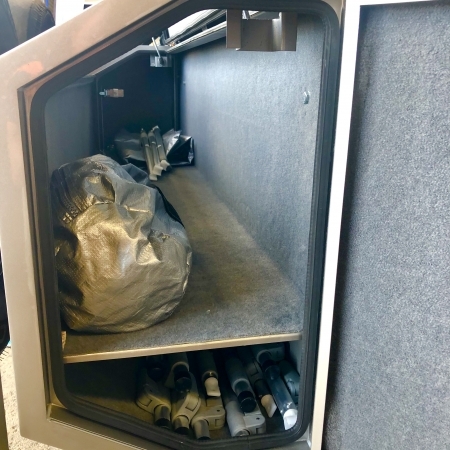 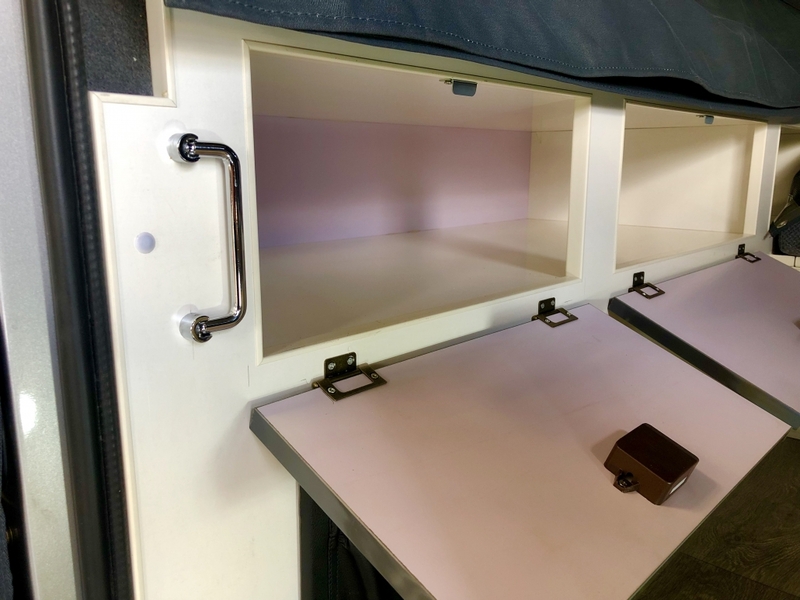 They have also added internal cupboards and under seat cabins so you will have no issue finding a spot to store gear for the big trips. 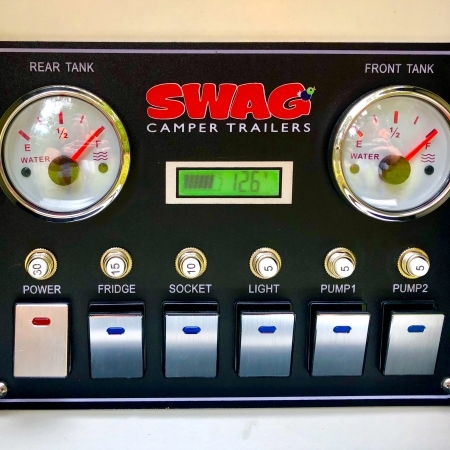 Unlike others, SWAG have stuck with componentry that is proven. 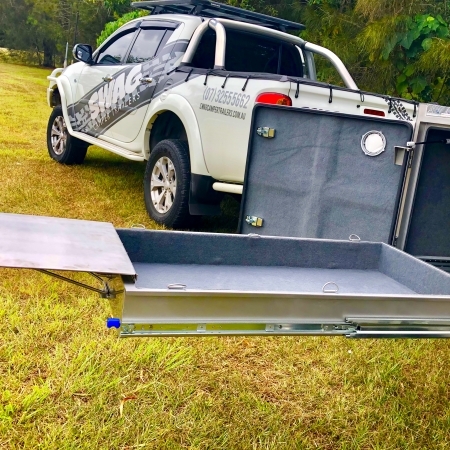 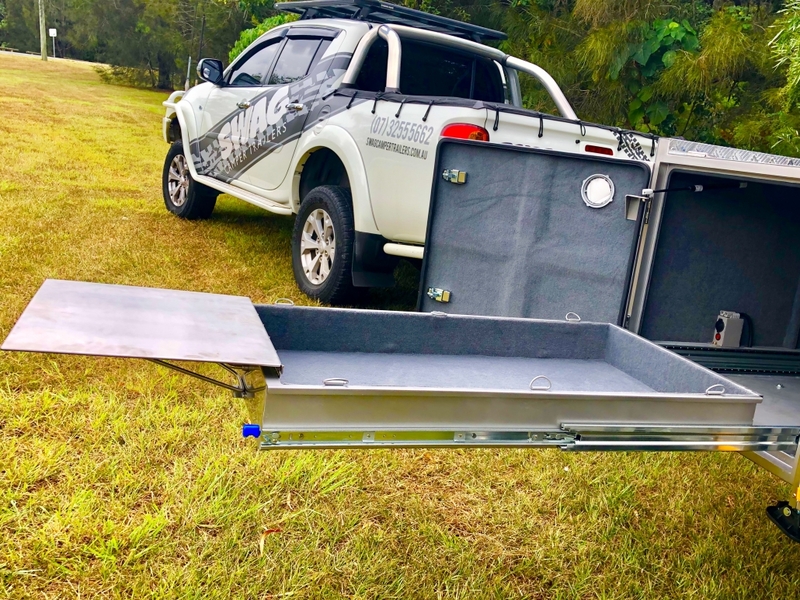 The V.2 KAKADU utilises the ARK XO Jockey wheel & Off-road hitch combo as well as the PROJECTA 6 stage charger and LION Batteries. 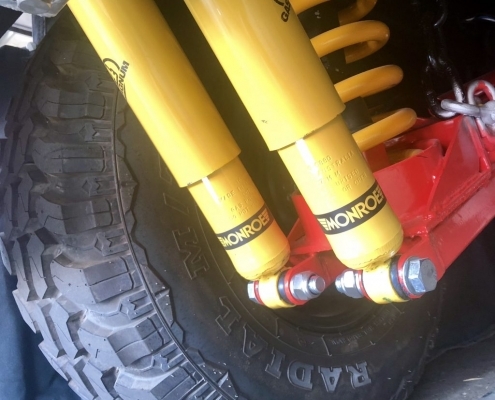 Another important feature underneath is the use of MONROE Off-road shocks for greater stability. 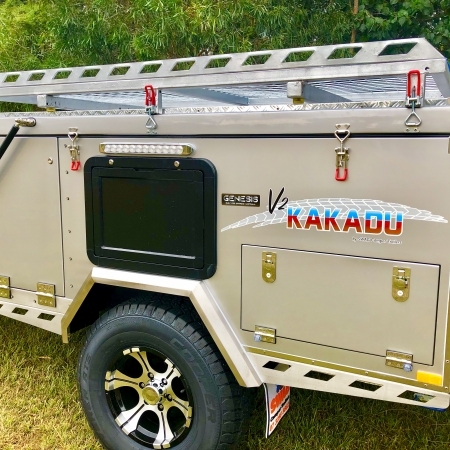 The V2 Kakadu is neat & practical package that will suit small families, retirees and couples. 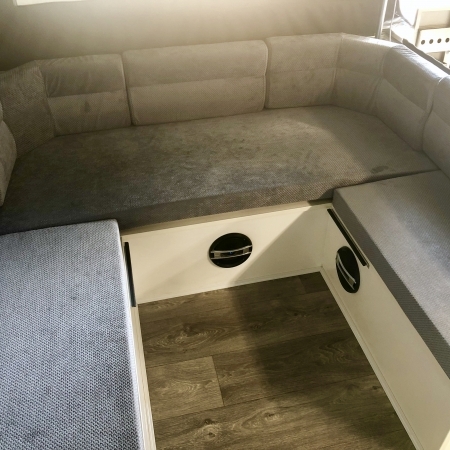 √ U shape dining room with table that quickly converts to a single/double bed. 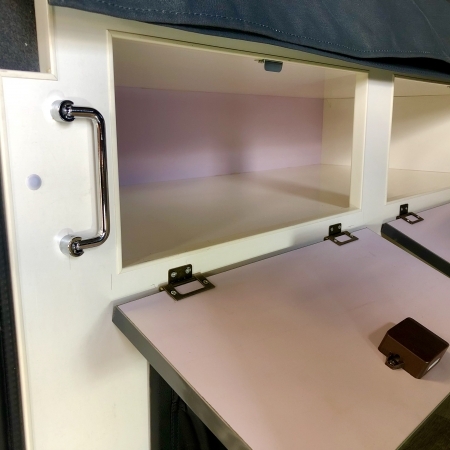 √ 3 large storage cupboards in the front that can be accessed from outside plus plenty of under seat storage. 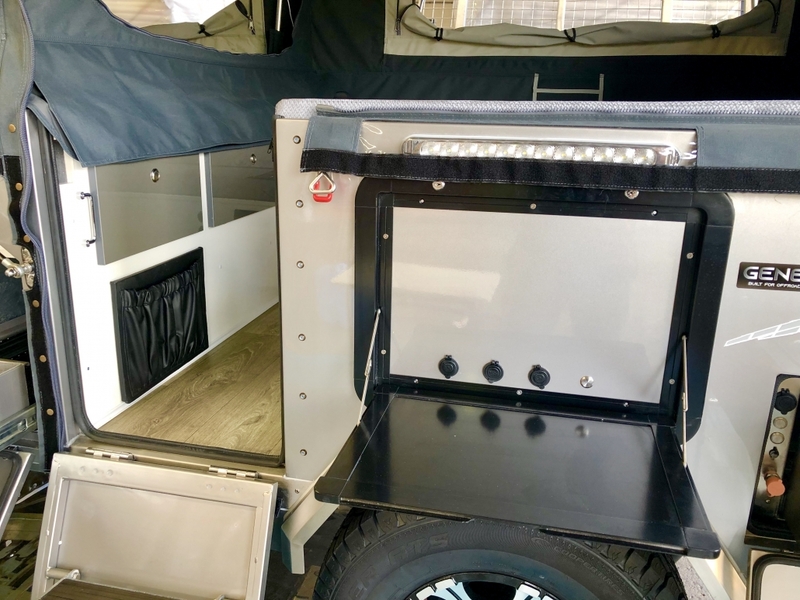 √ Dual Pantry/Storage drawers and large front cabin.